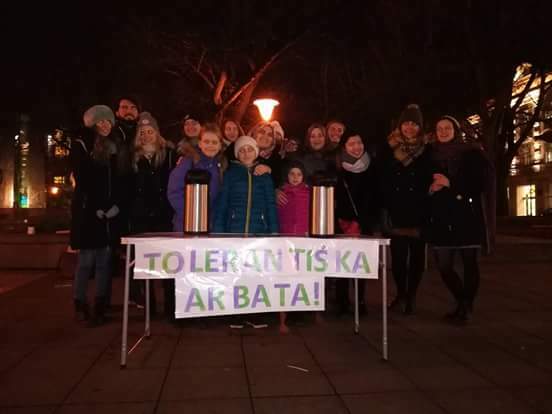 On the 16th of November 2017, European Foundation of Human Rights (EFHR) trainees Cormac Flahive, Kamila Kocowska, Chiara Antonucci, and EVS volunteer Carmen Cara Lorente had the opportunity to participate in the event “Tolerantiška Arbata/ Tolerant Tea”, which was organized by Social Educational Initiatives Centre PLUS. During this event, EFHR trainees and the EVS volunteer helped out by giving out tea to passers-by and talking to people about the ideas of tolerance. They shared their own cultural experiences from their own home countries and learned a lot about tolerance from the people they engaged with. The Volunteers feel they have gained a wider cultural understanding of tolerance within Lithuania and they thank the Social Educational Initiatives Centre PLUS for giving them this opportunity to engage and learn by assisting them in their event. 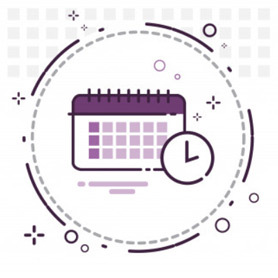 The EFHR organises and participates in events relating to tolerance and discrimination year round, holding training sessions and providing legal aid and is happy to contribute more to this important work in the future.